Description : I really didn't love how this one turned out... Snuffles looks all wrong, and Harry's eyes are a bit wonky, but I still think it's worth showing. Aww, Sirius! Harry has a great facial expession. Aww, he's so cute! I love Sirius... and Harry has a great reaction! Awwww... beautiful Sirius... *snif* *snif* Harry looks surprised. I think he doesn't have to be surprised. hmm...I always though of Sirius as more of a labrador, but that's what I have, so I guess I'm slightly prejeduce. *laughs* Lovely work, once again. 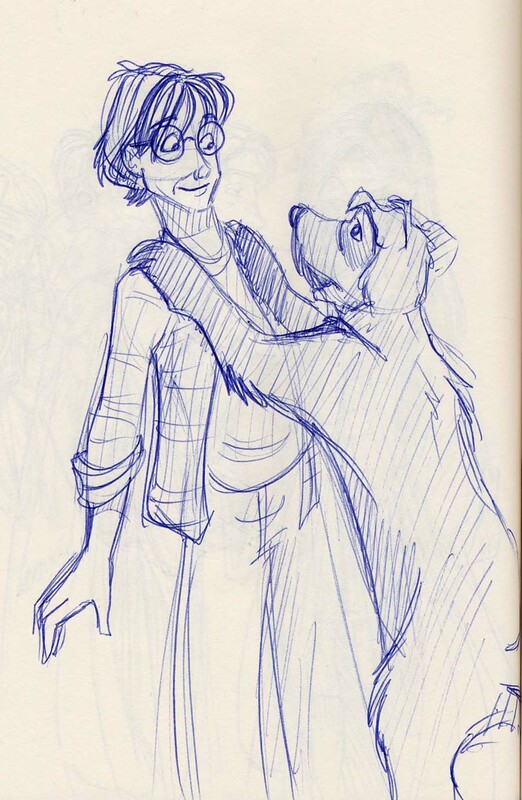 Aaaaw.......Sirius....i mean snuffles looks so adorable!!!!!!!!!! Aw, Sirius. It's so sad.